Mr. Brzenski's Math Class: Factor POP!! 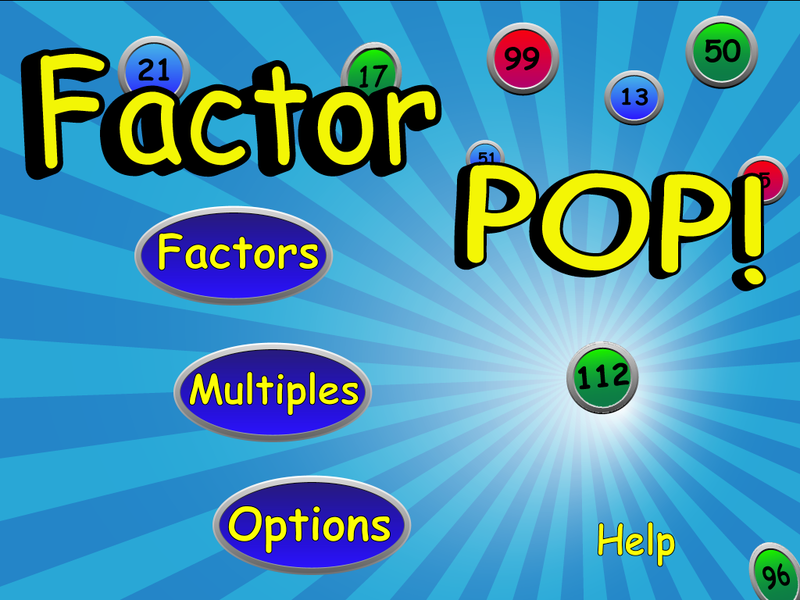 More than a video game, Factor POP! challenges users to utilize math skills and quick fingers. Factor POP! draws on knowledge of multiplication and division concepts, while encouraging repeated use through its fun, competitive design. 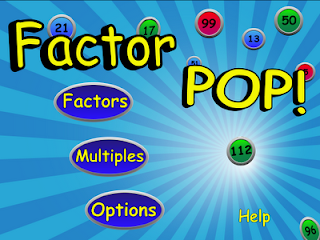 Because recognition of multiples and factors is a key step in performing higher algebraic functions, this game is a must for any elementary or middle school student as Factor POP! strengthens understanding of factors and multiples through progressively faster and more difficult levels. 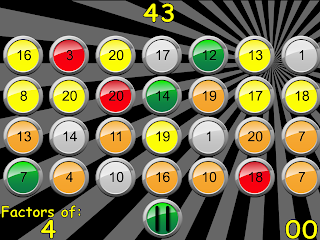 Users unlock levels by showing basic mastery of the previous level through points earned. Level performance is ranked using stars so teachers or parents can quickly see how well a user has mastered a particular concept. The concept of FACTOR and MULTIPLE is reinforced through play of the game, a key concept in 6th and 7th grade. This game is designed for students in 1st-8th grade, but can be used by anyone who wants to brush up on basic multiplication skills. Factor POP! 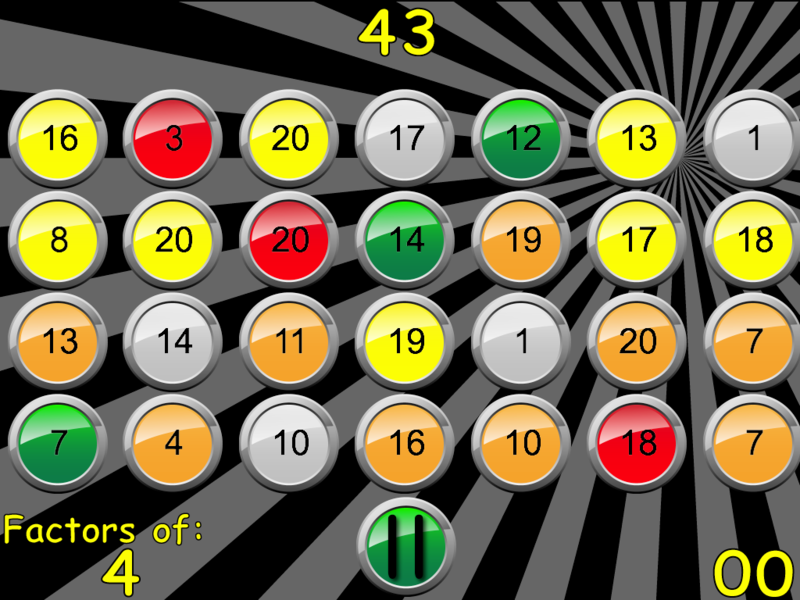 is designed to help students master fast memorization of multiplication and division facts. This is not a teaching program, but a skills building program. This program is meant to compliment any instruction that is being done in the classroom. Through the different speeds, your students/children will increase the rate at which they make calculations, transitioning from calculating to just memorizing what numbers divide into other numbers. The goal is to know that 126 can be divided by 2. The answer is not as important as recognizing that the division can take place without a remainder. The goal is to know that a factor of 20 is four. The answer to 20/4 is not as important as recognizing the division can take place without having a remainder. That is what this program strives for. This program also reaches out to those students who do not do well with traditional programs. It supports the struggling learners by using fun, kinesthetic response to traditional problems. It can be used as an anchor activity in a differentiated classroom. A teacher can ask that each student show mastery at some level by achieving a three star ranking. Contests can be set up with students practicing a given level for a high score, or a highest average score could be the winner. We encourage you to share how you have used this in your classroom/home by posting responses or emailing the designer.